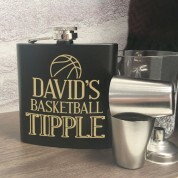 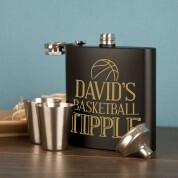 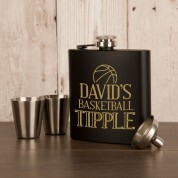 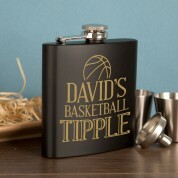 The Basketball fanatic in your life is sure to thank you when they receive this well thought out Hipflask Gift Set. 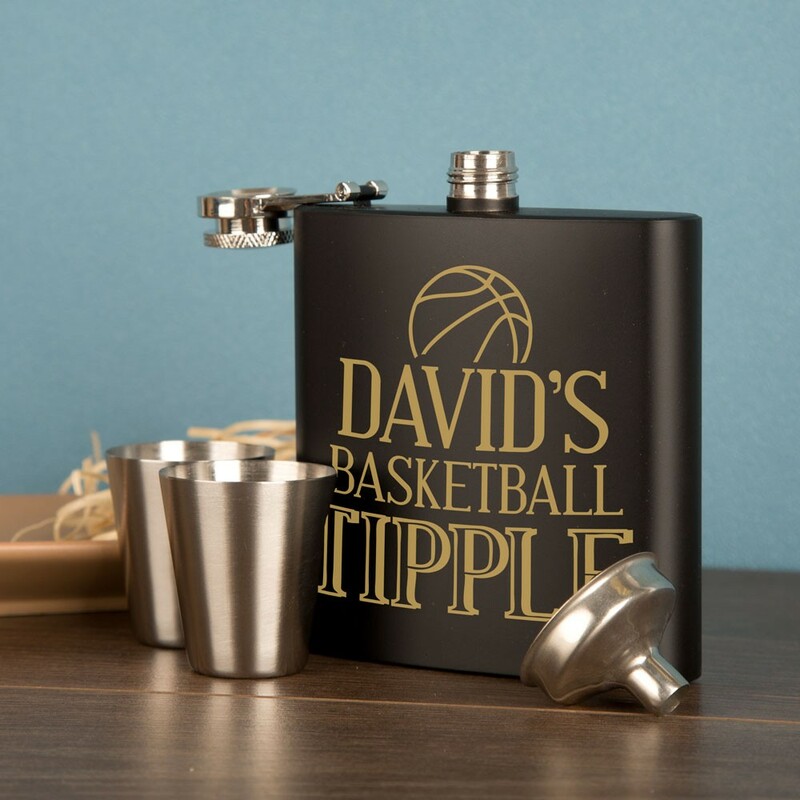 Beautifully presented in a molded gift box the 6oz Hipflask has a Personalised Besketball themed design laser engraved on the surface. 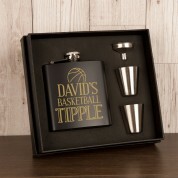 The pouring funnel and measuring cups are a great addition and certainly add to the presentation. 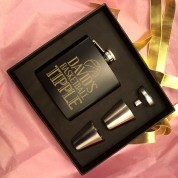 Suitable for any gifting occasion such as Birthdays or Father's Day and especially popular at Christmas.